Welcome to Images of Power's newest experience of our wedding videography lifestyle: blogging! We want to introduce you to new thoughts, ideas, perspectives and even some of our wonderful experiences through couples that we've had the privilege of working with in the past. We will even let you into our own little world! We absolutely adore capturing moments of love through the art of film. Every wedding ceremony experience is so unique. We always have the luxury of being able to walk away with something new during a ceremony that we've never witnessed before. Hearing the vows being spoken, watching that father/daughter dance and being able to see your family and friends enjoy themselves during your love day is extremely priceless! Your ceremony is a reflection of your love. There are so many traditions and experiences that are coming together in one room. Whether you have an elopement ceremony or a larger 300 guest experience, there is no right or wrong when it comes to your ceremony. It is your time to selfishly express your love towards your partner. We will get to know you so that we can dutifully express your unique love through our masterful lens. Since this is our first blog post, we want to do an introduction. We want you to get to know who we are and why we are so ridiculously obsessed with capturing love moments over and over again! 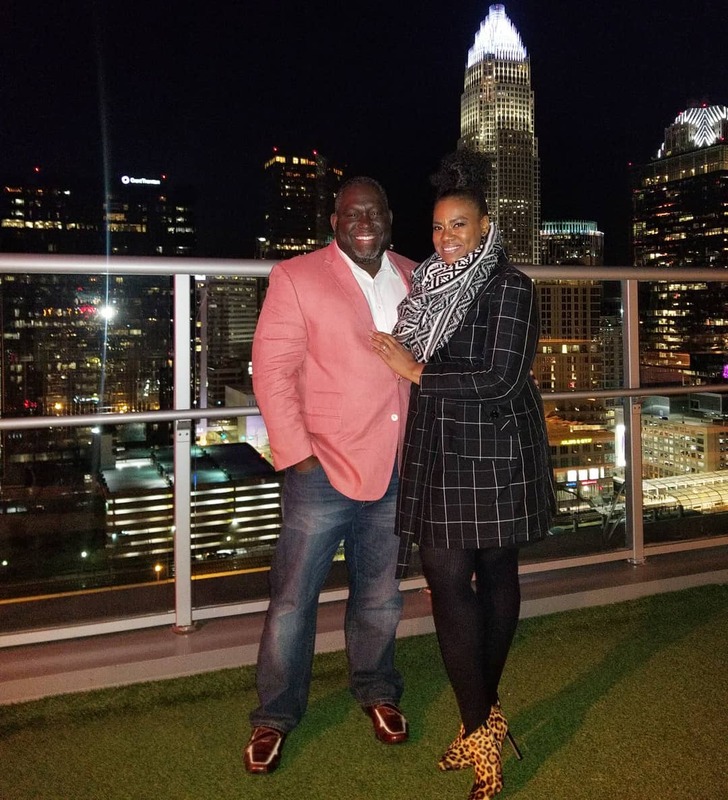 Laurin Wilson, Jr and Dana Woodis are a soon to be husband and wife team based in Charlotte, NC. We are actually in the process of planning our own wedding (November 4th, 2018) so we for SURE understand the experience of wanting perfection on your special day. No, there have not been any bridezilla or groomzilla moments for us...yet! And yes we will have a videographer present! Laurin fell in love with cinematography while in college and has been hooked ever since. Dana fell in love with cinematography while falling in love with Laurin (insert cheesy music here)! We absolutely love watching other couples' love stories play out and we strive for perfection every time. We believe in the power of love and since the documentation of that love is so fragile and fleeting we want to capture those moments for you on film. There have been times during ceremonies where we can see that the couple is so obviously in love so we will glance at one another and smile. We know true love when we see it! We have so much in store to share with you in the future. We hope you will enjoy as there will be much more coming soon. I’m so excited for you all! I can’t wait to watch… and cry. Y’all know how I do. This is amazing. Images of Power is the BEST wedding videographer in Charlotte, NC! I look forward to reading more soon. YES caption the intimacy and love from 2 people in love and who best to do that but blaque love and jill scottie..i can’t wait for more..